Wordpress has become so popular around the world with the impressive figures. Up to the present time have more than 70 million WordPress site in the World, over 364 million people view more than 11 billion pages each month and 38 million new posts and 62 million new comments each month. According to statistics, the majority of the WordPress site is hosted on cheap service hostting. You are using WordPress site? so you definitely know the importance of keeping backup copies of our files and database because there is always a risk of losing your data. I have collected 25 of the best backup plugins for WordPress below to help you backing up database and files your WordPress Sites. 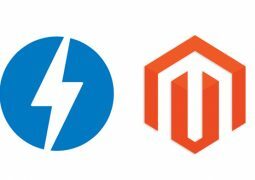 But remember that there are always benefits of going for premium WordPress plugins as opposed to free WordPress plugins. Database Backup Amazon S3 to create Database Backup & Restore Database Backup easy. Database Backups can be uploaded to Amazon S3 Cloud to store database backup on safe place – Amazon S3 Cloud. The backup plugin BackWPup Free can be used to save your complete installation including /wp-content/ and push them to an external Backup Service, like Dropbox, S3, FTP and many more, see list below. 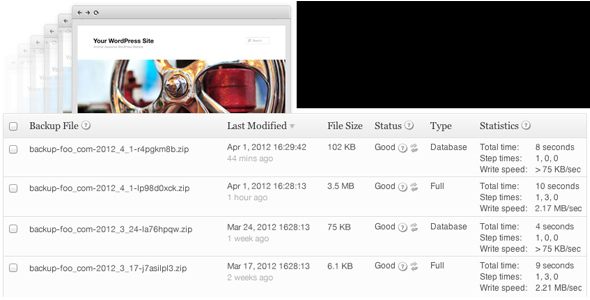 With a single backup .zip file you are able to easily restore an installation. 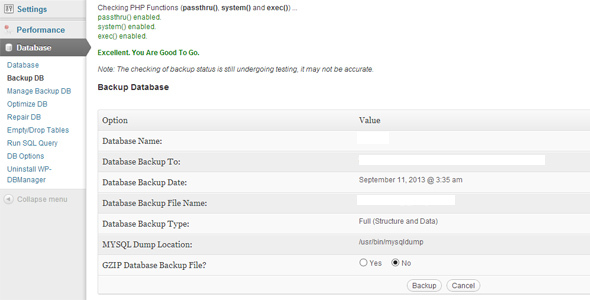 BackUpWordPress will back up your entire site including your database and all your files on a schedule that suits you. 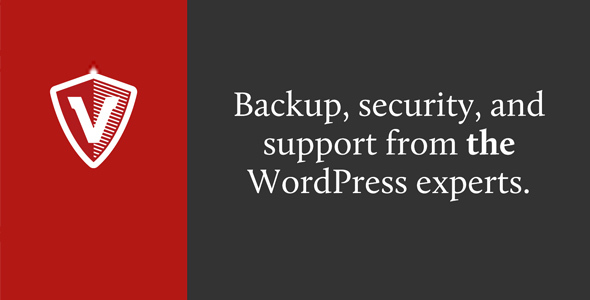 Backup Technology’s free Online Backup plugin provides protection for WordPress sites and their data. 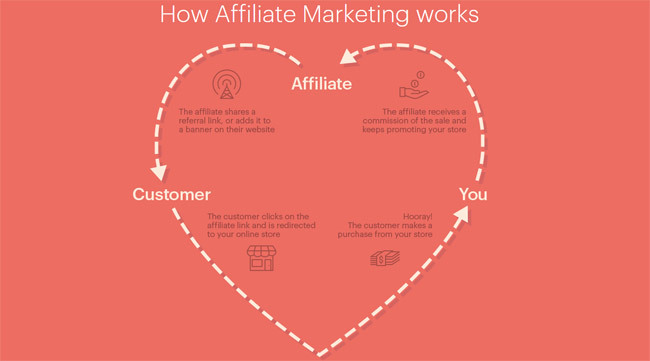 With the vast amount of time and investment that goes into running a blog or website, it is essential that a simple system is available for backing up. Backup Technology’s secure data centres with 100 MB free online storage space. 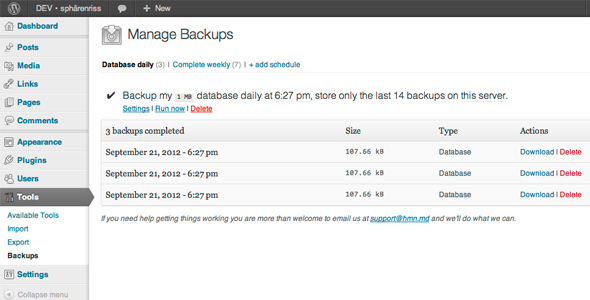 UpdraftPlus simplifies backups (and restoration). Backup into the cloud (Amazon S3 (or compatible), Dropbox, Google Drive, Rackspace Cloud, DreamObjects, FTP, SFTP, WebDAV and email) and restore with a single click. Backups of files and database can have separate schedules. 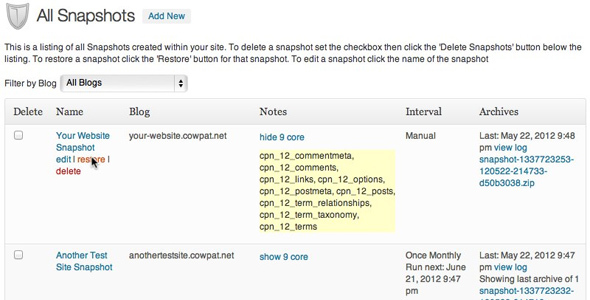 The Duplicator plugin gives WordPress Administrators and Developers the ability to migrate/clone a site from one location to another location. 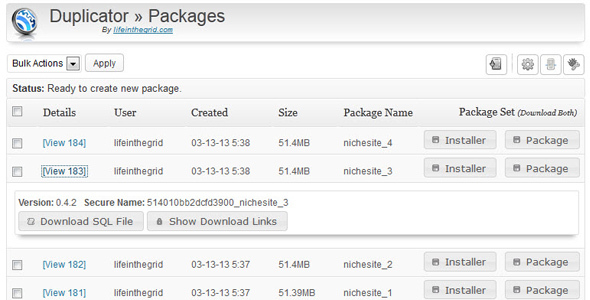 First create a package, download it and install. No need to change your settings and re-run import/export scripts. The plugin also serves as a simple backup utility. The Duplicator also supports both serialized and base64 serialized string replacement. 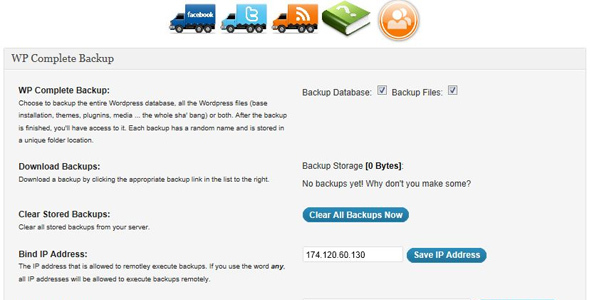 WordPress EZ Backup is A administrators plugin to allow the easiest most feature rich method for creating backup archives of your entire site & database. 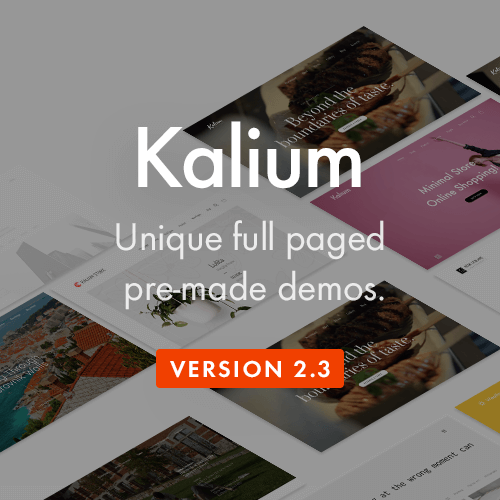 Please take your time to check out this neat plugin. 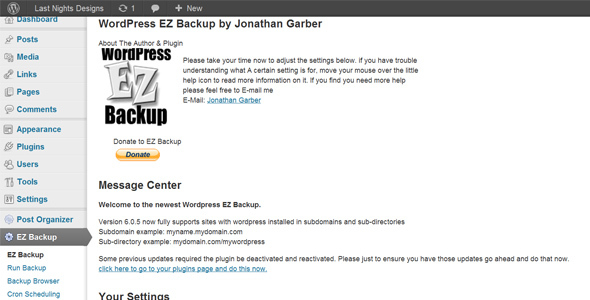 WordPress EZ Backup started as a private plugin I used on my own & now im bringing it to everyone. 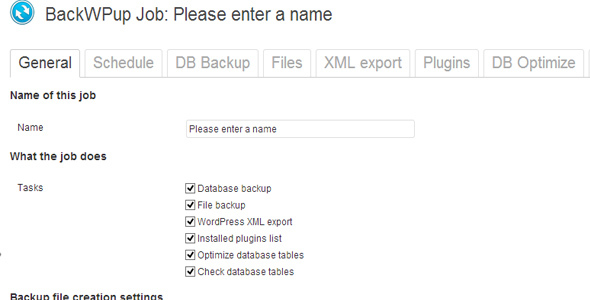 XCloner is a Backup and Restore component designed for PHP/Mysql websites, it can work as a native plugin for WordPress!. 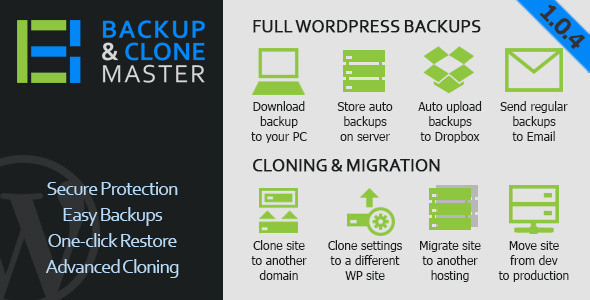 XCloner design was specifically created to Generate custom backups of any LAMP website through custom admin inputs, and to be able to Restore the clone on any other location with the help of the automatic Restore script we provide, independent from the main package!. 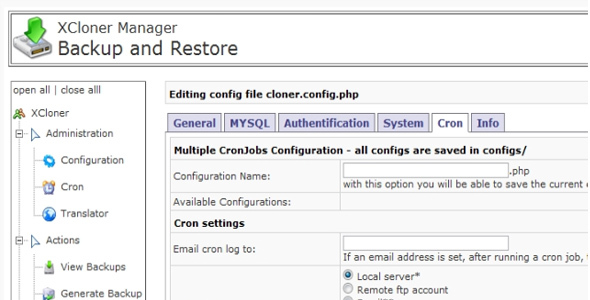 XCloner Backup tool uses Open Source standards like TAR and Mysql formats so you can rest assured your backups can be restored in a variety of ways, giving you more flexibility and full control. 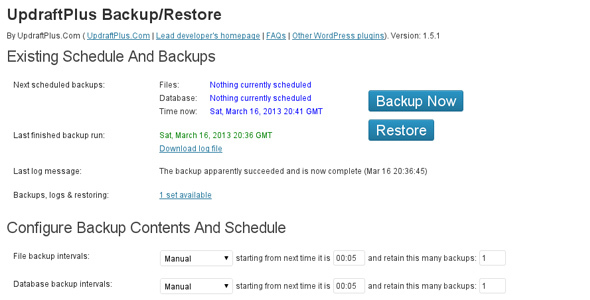 WP Backup Complete is an easy to use, complete backup solution for WordPress. The plugin offers the ability to backup the database as well as make a complete file system backup. 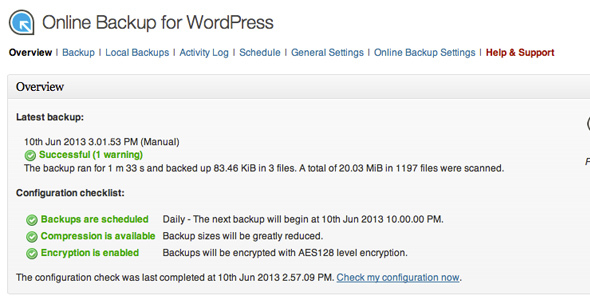 Ether Backup WordPress plugin is a powerful tool that lets you manage every aspect of your site data. Multi Plugin Installer is a utility plugin that saves you a lot of time of installing plugins. 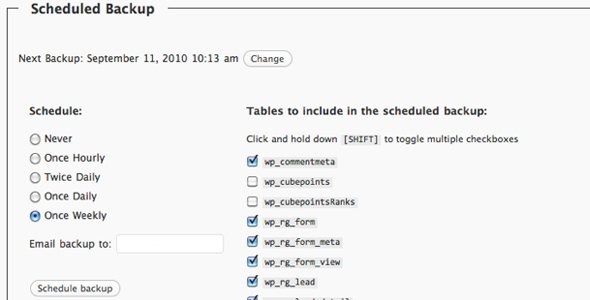 With MPI you can install multiple plugins all at once and activate them. Save your database and attachments with scheduled jobs, get the backups by email or send it to Dropbox. It automatically creates the archive of your database and files. Uses default WP Cron. 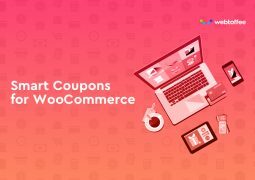 Once you activate this plugin, it will backup your WordPress file to your backup and once completed, it will send user an email notification of the completion. 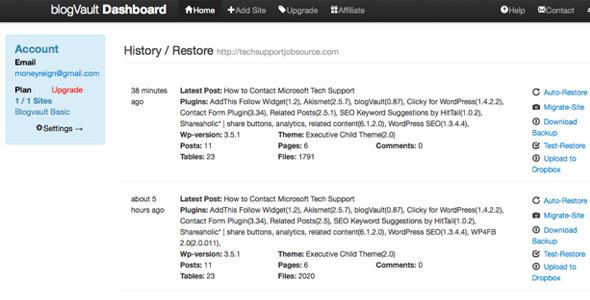 BackWPup is your Must Have WordPress plugin. More than 60.000 people can’t be wrong. 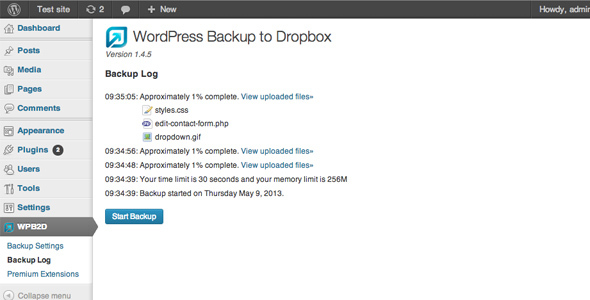 With BackWPup Pro you schedule automatic backups for your WordPress installation. 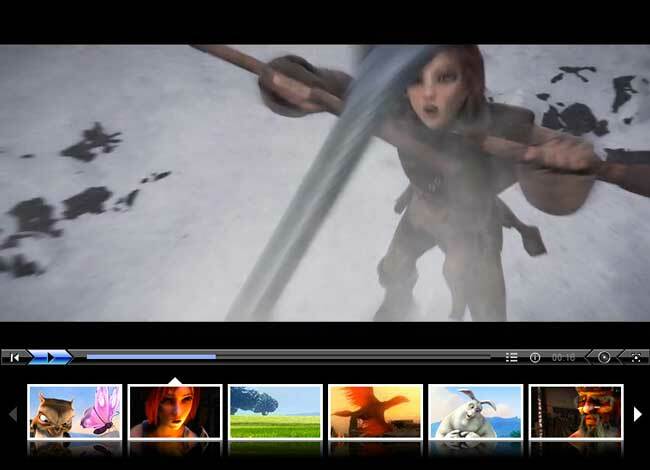 You decide which content will be stored where and when. 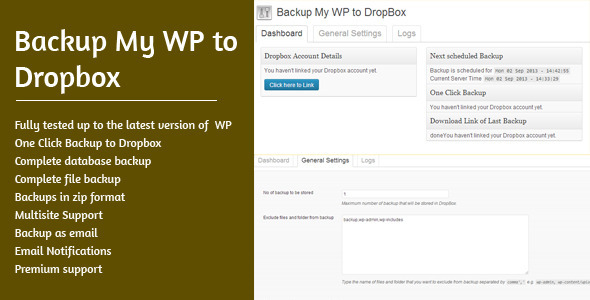 BackWPup Pro is the All-in-One backup solution for WordPress! BlogVault backs up WordPress sites. So you can restore them at will, test your back ups, and even move servers. Backup Buddy help you back up entire WordPress installation. 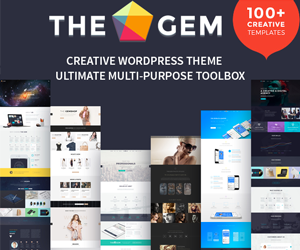 Widgets, themes, plugins, files and SQL database – the entire package! Just like your laptop or desktop computer, you should be doing regular backups of your website. With BackupBuddy you can schedule backups and have them sent off-site to Dropbox, Amazon S3, Rackspace Cloud, an FTP server, or your email. Or download them right to your desktop. VaultPress is a real-time backup and security scanning service designed and built by Automattic, the same company that operates 25+ million sites on WordPress.com. The VaultPress plugin provides the required functionality to backup and synchronize every post, comment, media file, revision and dashboard settings on our servers. 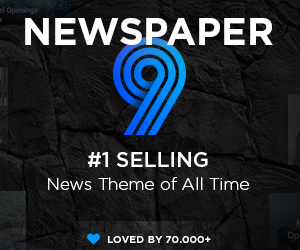 To start safeguarding your site, you need to sign up for a VaultPress subscription. Snapshot like Time Machine for your WordPress site, simply take backup snapshots of anything you want (settings, content, files & more) and restore at will – integrates with Dropbox & S3 too. 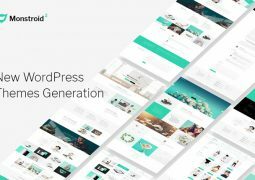 WP Dolly Pro is the State-of-the-Art WordPress backup plugin that creates a full WordPress backup or database backup of your website in just seconds. Backups can be either downloaded to your computer, stored to your Amazon S3 account or your Dropbox account. Backup&restore amazon s3 offers me free amazon s3 backup and restores my plugin to create amazon s3 full backup.It also helps me to restore,duplicate ,clone or migrate my website.It is easy to use and follow. 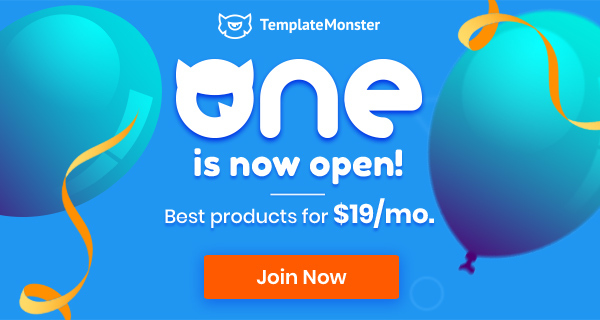 I wanted to duplicate my website and i couldn’t find any good plugin until I found “duplicator-clone”. 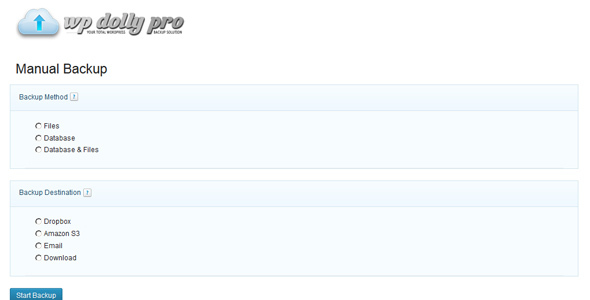 I haven’t used any other plugin since then. 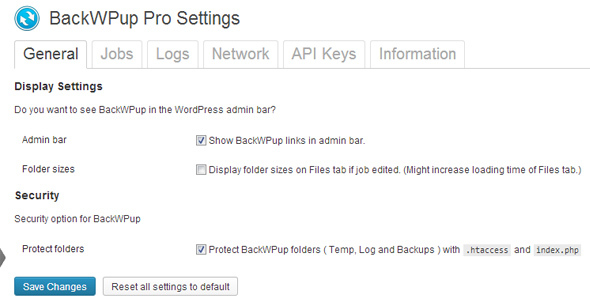 BackWPup is a very nice plugin with many settings, letting you decide exactly what you want to back up.